In a major development as part of the strategic partnership between Discovery, Inc. and the PGA TOUR, GOLFTV has unveiled an exclusive multi-year global content partnership with 80-time PGA TOUR winner and 14-time Major champion Tiger Woods. The GOLFTV partnership will reveal Woods as fans have never seen him before, providing an unparalleled opportunity to get close to Woods’ practice routines, preparation and life on the road through a variety of programming showcased exclusively on GOLFTV. “I’ve been watching Discovery and David Zaslav build up a global sports platform with Eurosport, the Olympics and the launch of GOLFTV with us at the PGA TOUR, so I think they’re the perfect partner to help grow the game. They’re global, they get sports and know how to build new, younger and big audiences. It’s a perfect fit and I’m so excited to be a real partner with the Discovery Sports team,” said Woods. “I love the vision of GOLFTV and the ambition for it to become the premier destination for golf entertainment worldwide. To have my own platform to communicate is the culmination of a lot of hard work from my team and the team at Discovery. We’re going to build content for everyone, whether you’ve been playing golf for a long time or just starting out. I’ll be sharing stories and giving insight into my approach that has never been seen before. This is such an exciting time for golf and for me, so to be part of the vision to grow the game all around the world is fantastic. I can’t wait to share my knowledge on GOLFTV,” he said. “I want to talk to golf fans and golfers everywhere, directly, and straight from me. That’s important to me. Talking about what we care about: what’s happening on the course, how to play better, how can I shoot lower scores tomorrow, how can I beat my friends? David explained how GOLFTV is for the fans and the players, a single place they’ll all want to go, and he’s building something everyone will want,” Woods remarked. “Getting the chance to do instruction is exciting. I’ve always been focused on my own game and this experience can help players everywhere. Whether you’re a long-time player or a beginner, there are some things that help us all play better. It’s one way I want to give back to people who love the game like I do. If I can help the next generation enjoy the game more and play better, that’s pretty special,” Woods concluded. David Zaslav, President and CEO, Discovery, said: “I am excited to welcome Tiger to the Discovery family and to GOLFTV, a true superstar joining our company of world-class storytellers and brands. At the heart of Discovery is high-quality storytelling, told through the most authentic, credible and trusted voices. Tiger is the ultimate example of a world-class athlete and cultural figure with whom audiences are enamoured, and follow closely around the world. Our global partnership with Tiger is a perfect example of our strategy to collaborate exclusively with top talent to extend global media platforms, and take advantage of our international distribution and technology infrastructure and aggregate audiences and build long-term value. “With Tiger joining us, I am confident that GOLFTV will be the new gold standard for comprehensive sports streaming, nourishing golf fans when and where they want to consume what they are most passionate about,” Zaslav added. This partnership with GOLFTV comes at an ideal time in Woods’ career, on the heels of a comeback season that saw him return to form in spectacular fashion, culminating in a history-making win at the 2018 TOUR Championship in September. Alex Kaplan, President and General Manager, Discovery Golf, said: “It’s a privilege for us to welcome Tiger to the GOLFTV team. No one else in the game resonates globally the way Tiger does or has the global fan base, and he has great wisdom to share, on and off the course. 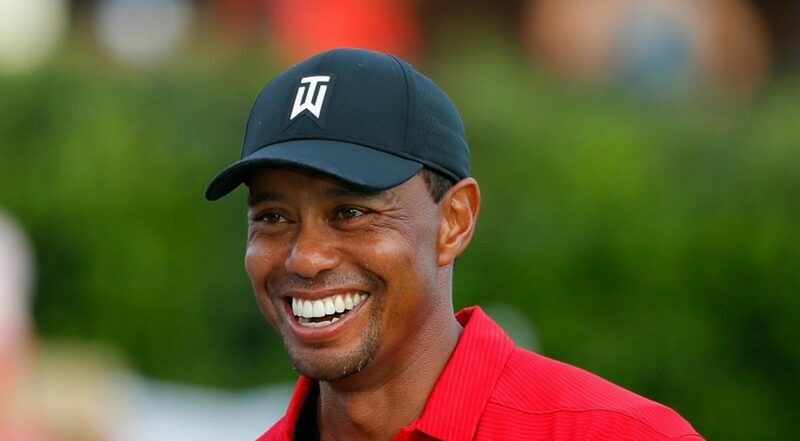 We’re thrilled to give him the global platform to do just that, and to provide our audience in more than 200 markets and territories a closer look at Tiger on the greens and behind the scenes. “Our long-term partnership with Tiger reflects our broader ambition as we roll-out the service over the coming years, seeking to grow GOLFTV into a true ecosystem for all things golf: watching, learning and playing,” Kaplan added. GOLFTV powered by PGA TOUR will be available to fans starting January 2019. It will present more than 2,000 hours of live action each year as well as a wide range of premium content on-demand, featuring the sport’s most exciting moments, superstar players and tournaments on every screen and device. Live coverage of the PGA TOUR will be extensive and include THE PLAYERS Championship, the FedExCup Playoffs and the Presidents Cup. DISCOVERY SPORTS is the global leader in live sports with extensive brands and exclusive partnerships with premium sports and events including: Eurosport and the Eurosport Player, the Olympic Games, the Tour de France, Giro d’Italia, La Vuelta a España, The Championships – Wimbledon, US Open, Roland Garros, Australian Open, ATP Tour, Bundesliga, English Premier League, UEFA Europa League, Eliteserien, PGA TOUR, Six Nations Rugby, FIS Ski World Championships, Moto GP and Formula E to name only a few. GOLFTV is a digital video streaming platform and will be available in all international markets (excluding The United States, China and South Korea) from January 2019. It will feature a wide range of premium programming and content, including the PGA TOUR’s Featured Holes and Featured Groups live streams.